Janeliunas Jewelry has been in business on the world wide web doing business as jansjewells.com since 1999 and jewelryrevivals.com since 2016. We stand behind our merchandise and offering a money back guaranty if for any reason that you are not satisfied (see terms under ordering information and return policy). Our business is in good standing at the BBB with 0 complaints is operated in an ethical, honest and transparent manner. Review the manufacturing methods we use on our product lines for a better understand your specific item. On our new jewelry and reproductions each item is inspected for defects and is then carefully packaged. Customers have from the date of receipt to the last day of the return period specified in the Return Policy page, to return for any reason. Our jewelry is warranted against manufacturing defects for life and we encourage customers to contact us if they have issues at any point regarding structural defects. Where we carry a wide range of products each item is evaluated on a case by case basis. Previously owned, estate and consignment items are sold in 'as is condition'. We describe and note any wear or previous repairs to the item as best as possible, however where your purchasing an item that is antique or previously owned we can not offer any sort of warranty beyond our standard return policy. If problems do occur with your antique, estate or previously owned item we will however do any needed repairs at our jewelers cost. Reproduction jewelry that is 'made to order' requires a set manufacturing time prior to shipment which is noted in the description. In stock items are defined as a one of it's kind item ready for immediate shipment to available items that have a short fulfilment time frame from the manufacturer. The 14k white gold used is a low nickel content alloy which is less brittle and more flexible to work with on intricate filigree designs. There are different alloy mixtures of white gold so anytime you order rings to be worn as a set that are made from different manufacturer's, the metals may not be an exact match. There can even be a difference in metal tone when rings are made in separate productions runs. Keep in mind when pairing a new wedding band with an existing engagement ring, the ring may need professional polishing and buffing to match the metal tone of a newly manufactured band. Rhodium plating your rings at the same time is recommended if you find they are not matching to your satisfaction. The plating however will wear off in time but can easily and inexpensively be re-applied as needed. In filigree platinum jewelry, 950 Platinum/cobalt alloy is used as it is best for color & casting characteristics. Adding cobalt to any precious metal alloy mixture will make the item magnetic. We've seen in some findings that the 14k gold has been alloyed with cobalt, however the alloys are still genuine 14k or platinum. Although not a listed option many mountings can be cast in 14k red/rose or green gold. The color of the alloy is a rose/pink gold or for green gold yellow with a greenish tint and costs approximately an additional 10%. 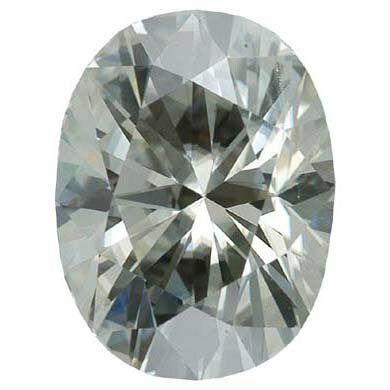 Enhancement is defined as any treatment process other than cutting and polishing that improves the appearance, durability, or availability of a gemstone. 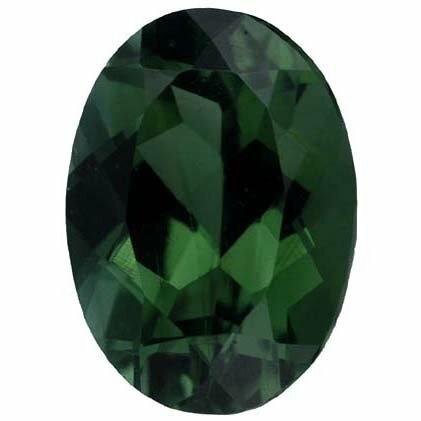 A large portion of colored gemstones on the market today have undergone some form of treatment. These enhancement processes are permanent, stable and safe, and do not affect the quality and in most instances the value of the gemstone. In fact, often with such enhancement processes, like heating, the natural beauty of the stone is much improved. We will make note of any stone treated by a non-industry accepted manner or if the treatment or process is not permanent. 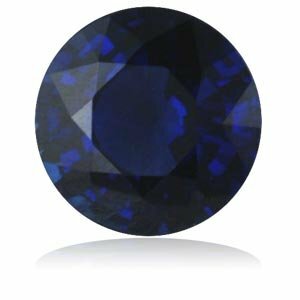 The AGTA Gemstone Enhancement Manual and the AGTA Gemstone Information page as both have an extensive list of gems, their common enhancements, and durability of enhancements. In posting these informative links we are not implying an association or membership with the AGTA but suggesting them as informational references. AAA= Eye clean, deep purple, little or no color zoning, good cut. AA= Eye clean to slight imperfections, medium / dark to dark purple, little or no color zoning, good cut. A+= Eye clean to slight imperfections, medium purple, little or no color zoning, good cut. AA= Eye clean, medium gold to slightly orange, little or no color zoning, good cut. AAA= Eye clean, medium to dark color, good cut. AA= Eye clean, medium color, good cut. A= Slightly included, medium to light color, good cut. AA= Eye clean, medium /dark, red/orange brown, good cut. AA= Eye clean, medium / dark, raspberry to plum, good cut. AA= Eye clean, light / medium / dark forest green, top color, brilliance, good cut, good polish. AA= Eye clean, medium / dark, slightly yellowish green, good cut. A+= Eye clean, medium / medium dark pinkish red, good cut, good polish. A= Slightly included, medium pinkish red, good cut, good color. AA= Eye clean, medium, navy to royal blue, brilliance, good cut, good polish, little to no color zoning. A+= Very slightly included, medium navy, brilliance, good cut, good polish, little or no color zoning. A= Slightly included, medium / dark navy, brilliance, good cut, good polish, little to no color zoning. AA= Eye clean, bright light blue, good cut, good polish. AA= Eye clean, grayish blue medium / dark, good cut, good polish. 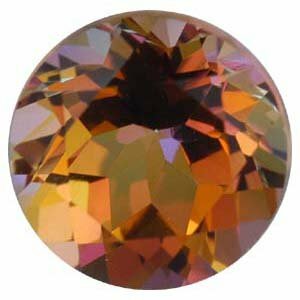 Mystic topaz begins as clear, white topaz. It undergoes a process called vacuum deposition, where a titanium coating is applied permanently to the pavilion (back of the gem). The coating is difficult to scratch, it is however protected by the setting. Green aka peacock, AA= Medium light green with purple and pink hues. Pure pink, AA= Medium to medium dark vibrant pink. Sunrise, AA= Medium light orangey yellow with pink hues. AAA= Eye clean to slight imperfections, light to medium yellowish green, good cut. AA= Eye clean to slight imperfections, medium yellowish green, good cut. A= Eye clean to slight imperfections, medium to dark yellowish green, good cut. AAA= Eye clean, medium dark to dark pink color, good cut. AA= Slightly included to eye clean, medium to medium dark color, good cut. A= Slightly included, light to medium light pink, good cut. SI/GH= SI-2 clarity, slightly included, small inclusions somewhat easy to see with a 10x loupe, G to I in color, good cut, good polish. 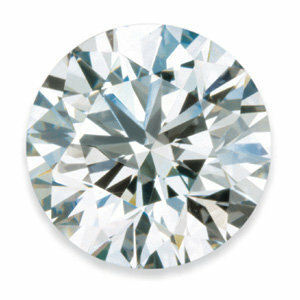 I-1/GH= I-1 clarity, inclusions can be seen with the unaided eye, G to I in color, good cut, good polish. Man made, slightly tinted yellow (I-K in color), good cut, very high dispersion.